LSCC workshops are a great way to learn about bioinformatics workflows. 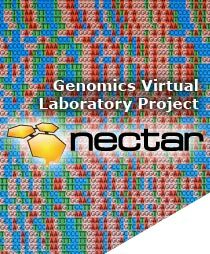 With the NECTAR cloud up and running, you don’t even need access to a big computer to get your very own bioinformatics cluster up and running for free in around 30 minutes. We can even run workshops at your institution if there are enough people interested. * RNA-Seq, differential expression analysis (Basic track) and functional over-representation analysis (Advanced track). We are also open to developing workshops on other topics where we see demand for them. For scientists with programming expertise, I also run a git/github workshop. Please contact Juan Nunez-Iglesias (juan.n@unimelb.edu.au) with your interest in each workshop. Please mention your department. Based on your response, we will set some dates in May and June and a registration site for attendees.